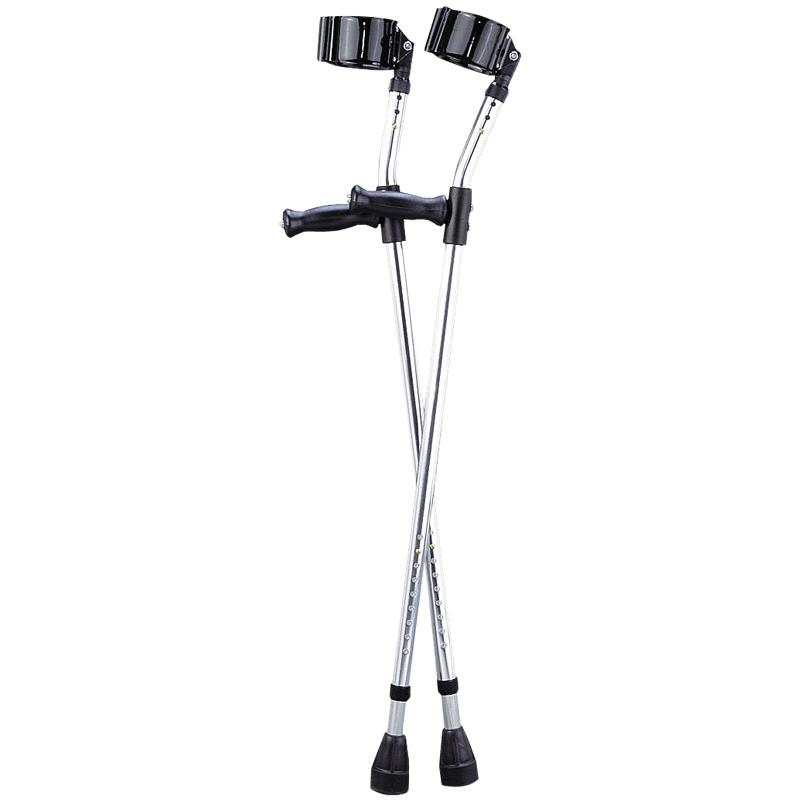 Guardian Forearm Crutches for Children have heavy-wall and high strength aluminum tubing. Telescoping parts are made with internal bushing and external lock nuts to provide silent usage. Vinyl-coated, tapered and contoured arm cuffs mold to user for extra comfort and black components hide signs of wear and scratches.